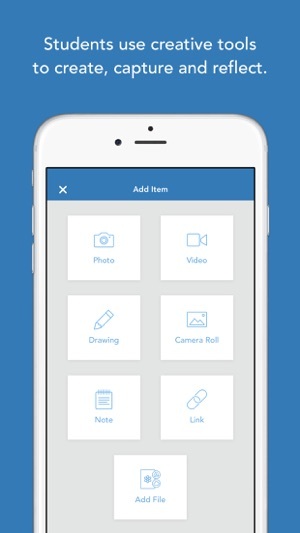 Seesaw is a student-driven digital portfolio that inspires your students to do their best work and saves you time. 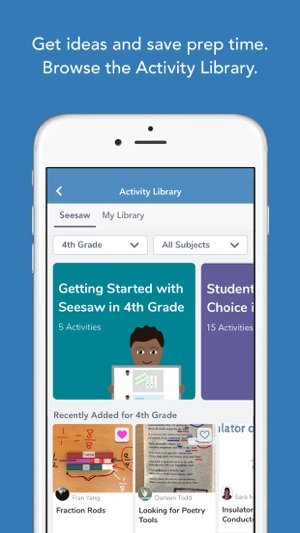 ∙ Featured by Apple as "Perfect for Every Classroom"
How Does Seesaw Help Teachers? ∙ Students express themselves, reflect on their learning and create a portfolio they're proud to show others. ∙ Browse thousands of great activities ready to use in your classroom today. 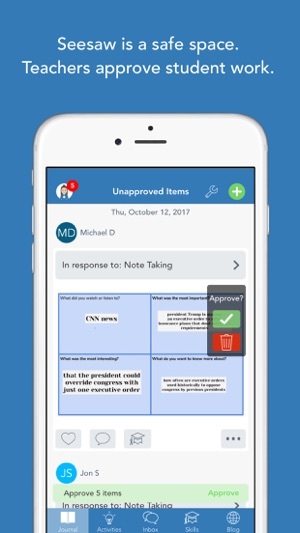 ∙ Collect student responses digitally and lug home fewer papers. ∙ Give more differentiated support through comments and feedback. 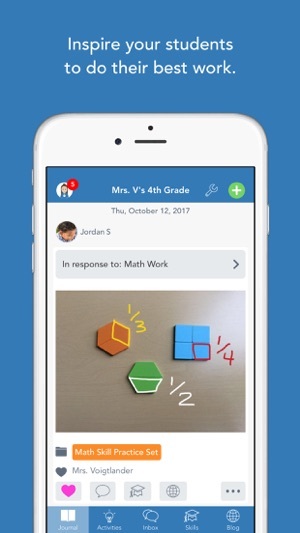 ∙ Teachers find or create activities to share with students. ∙ Students take pics, draw, record videos and more to capture and reflect on learning in a portfolio. ∙ Families see their child’s work and leave comments and encouragement. ∙ Compatible with 100s of other apps, including Apple and Google apps. ∙ Multiple sign in options, including QR sign in options for younger learners or shared device classrooms. 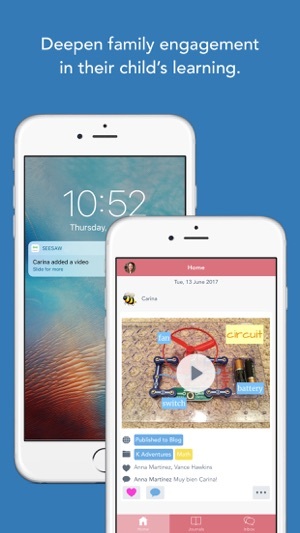 ∙ Teachers control who can see what, and whether students and families can add likes or comments. ∙ Translate notes, comments and captions into 50+ languages, including Spanish, French, Chinese, Japanese and more! ∙ Class blogs, with the option to connect to other classes. ∙ Getting started tips and professional development resources at help.seesaw.me. 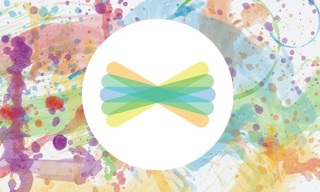 ∙ Follow @Seesaw on Twitter or join our Seesaw Teachers Facebook group to give feedback and connect with other inspiring educators. Die App macht einen tollen Eindruck. Leider kann ich sie im Unterricht nicht einsetzen, da das Programm auf Englisch ist. Damit kommen die Schüler leider in den Stufen 5-9 nicht zurecht. Sobald das Programm auf deutsch erscheint, möchte ich es gerne im Unterricht einsetzen. I’m a student of a school that uses seesaw a lot! My mum is happy to always know what we’ve been doing the whole day and it’s fun to look at what videos, notes, pictures and more we did the past months. My teacher asks me questions over seesaw by commenting and I just comment back the answer... How useful!